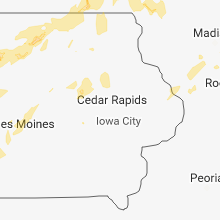 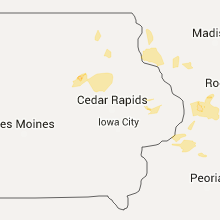 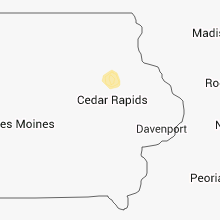 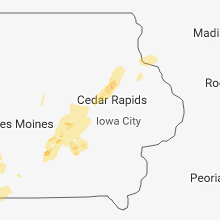 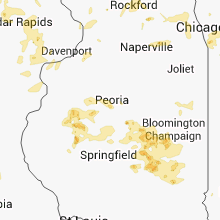 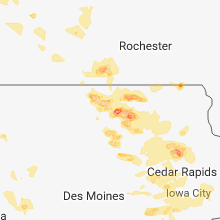 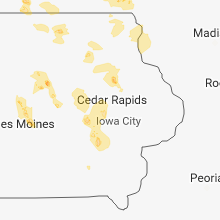 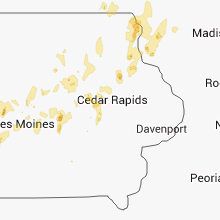 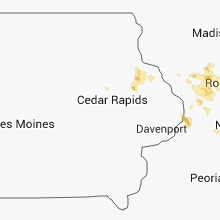 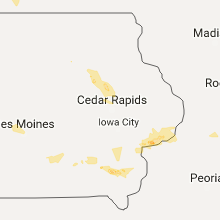 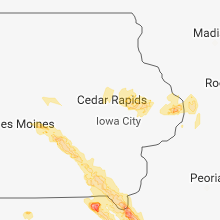 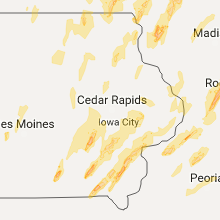 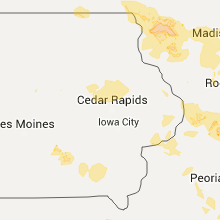 The Quasqueton, IA area has had 0 reports of on-the-ground hail by trained spotters, and has been under severe weather warnings 28 times during the past 12 months. 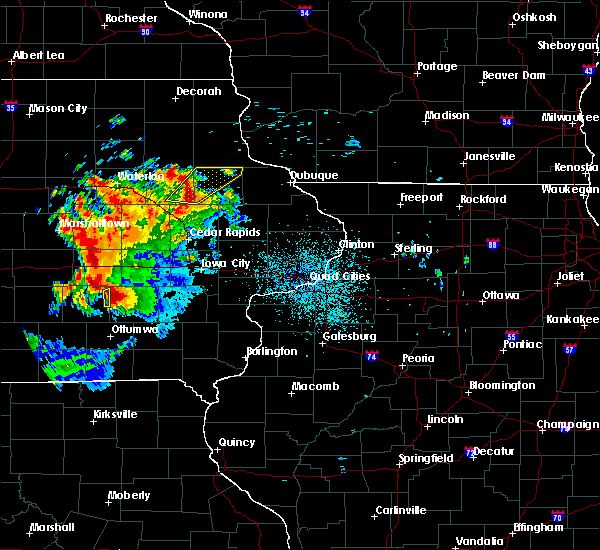 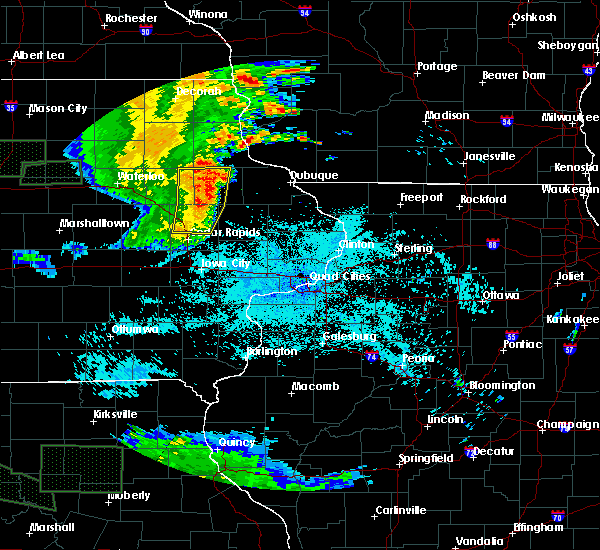 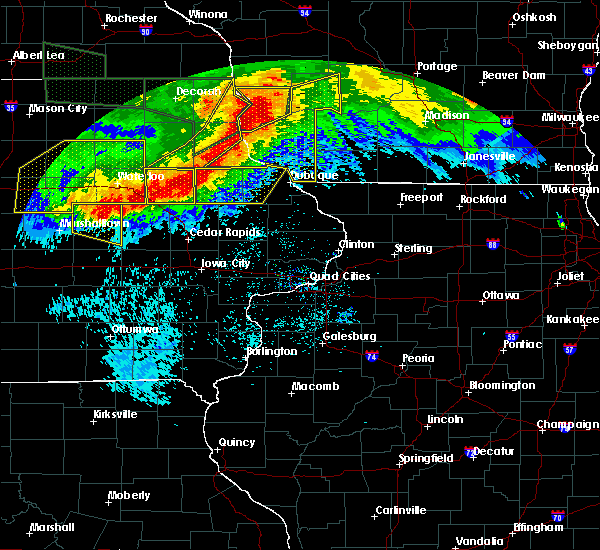 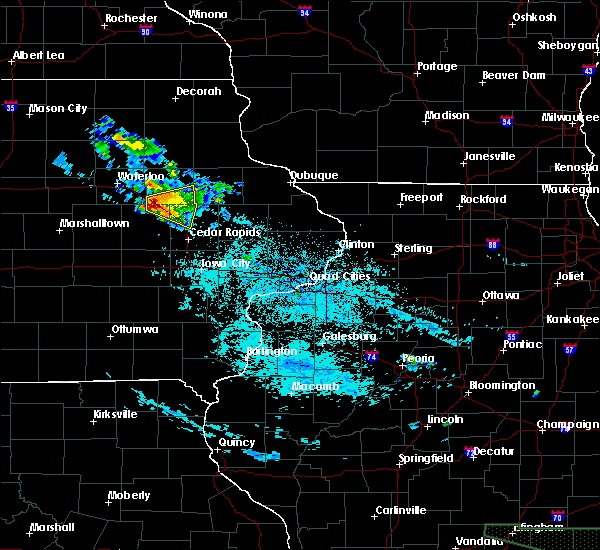 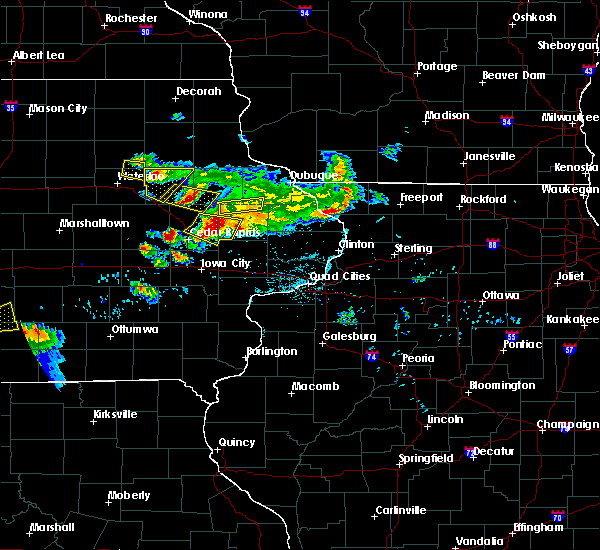 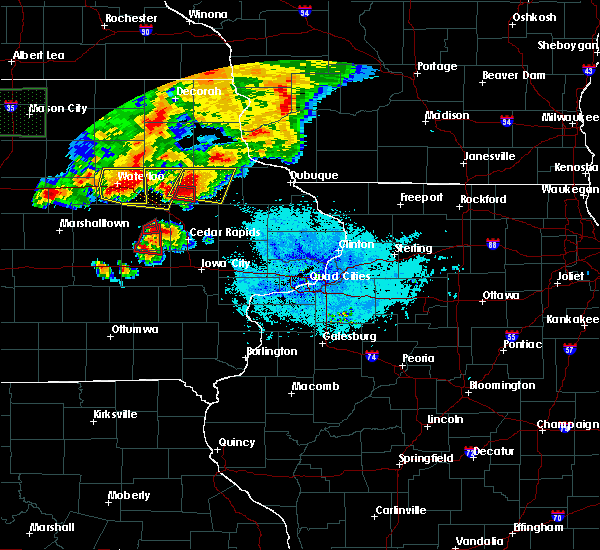 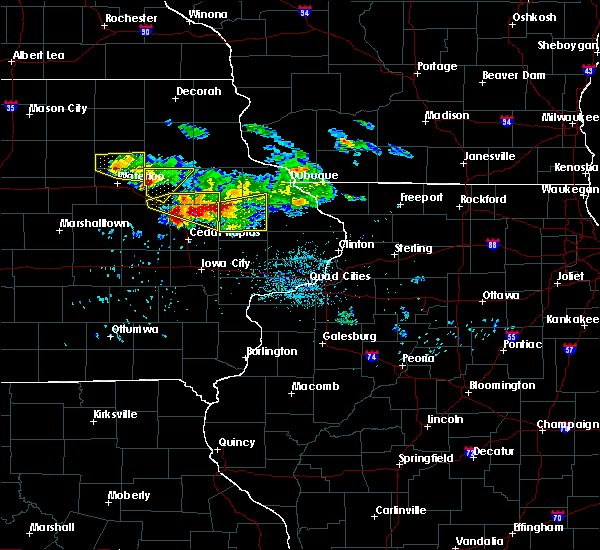 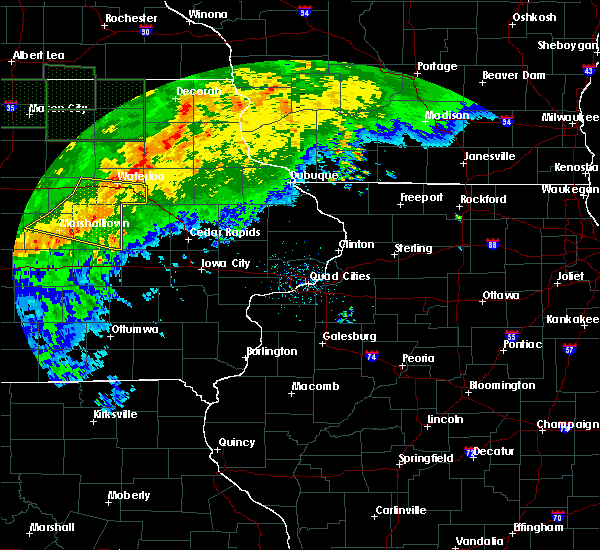 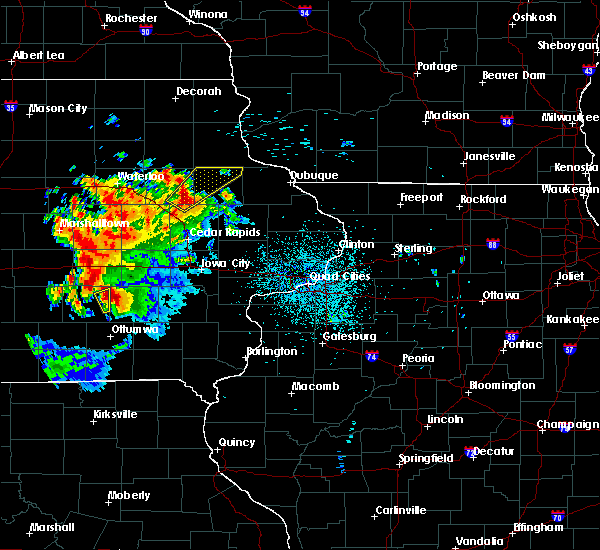 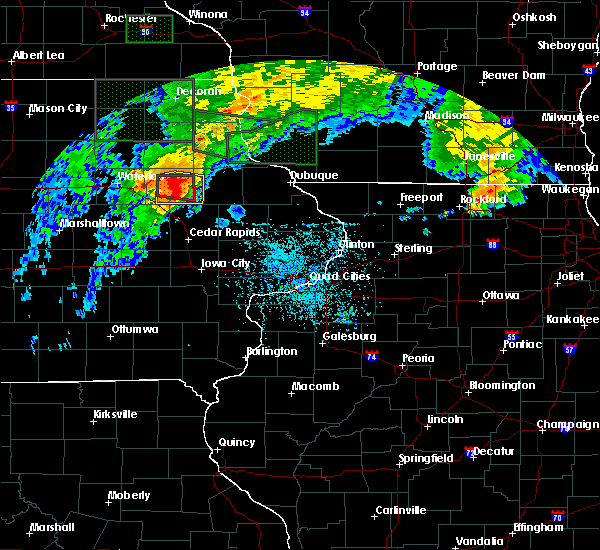 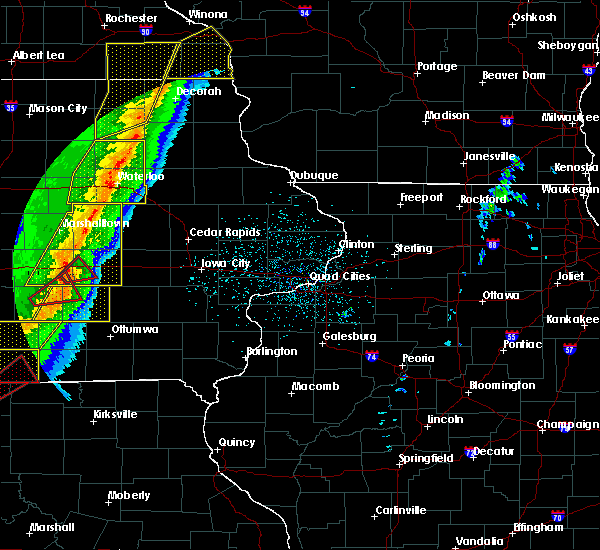 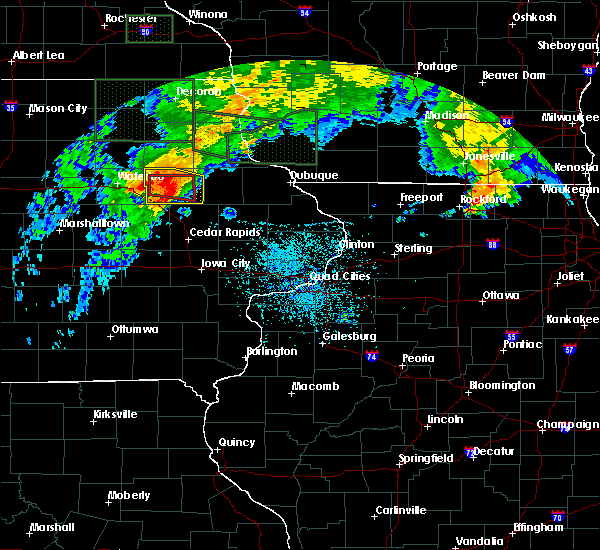 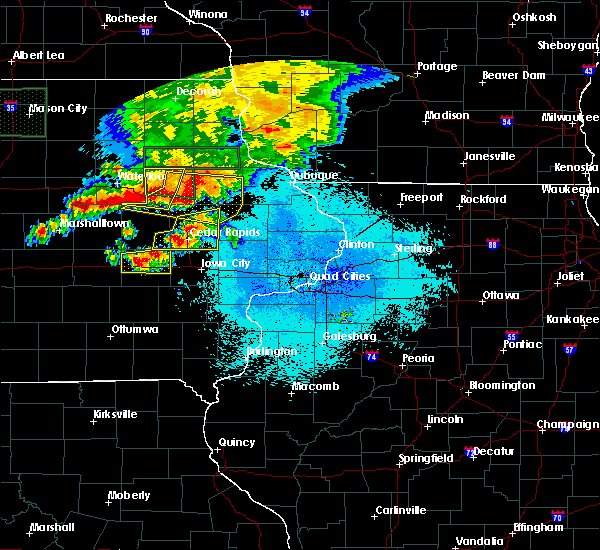 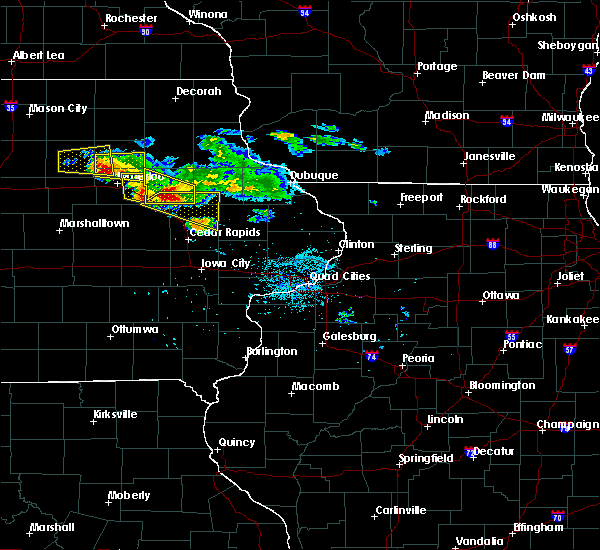 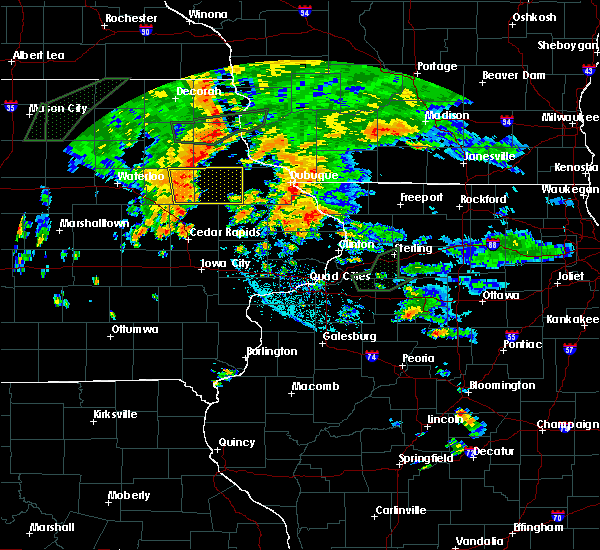 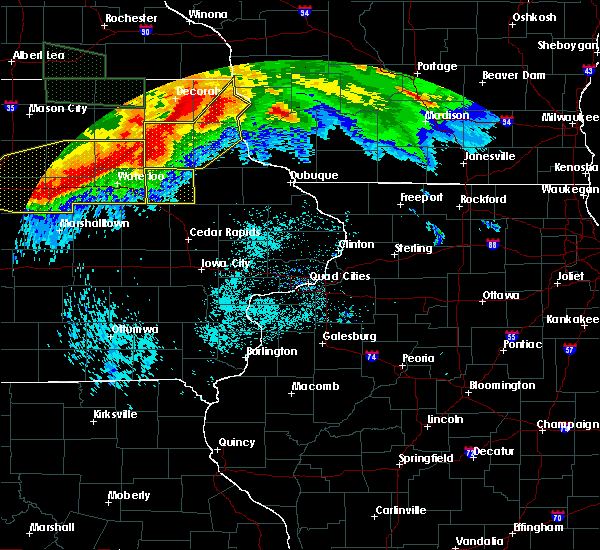 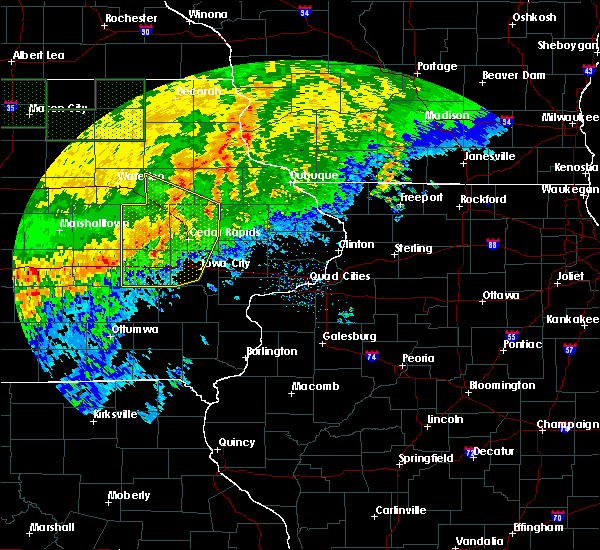 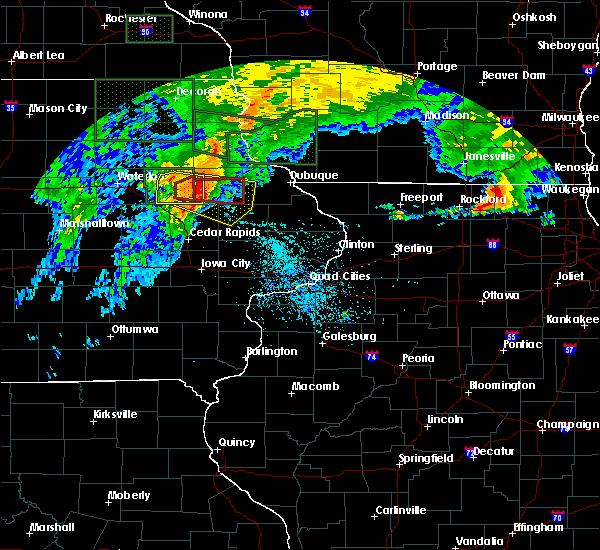 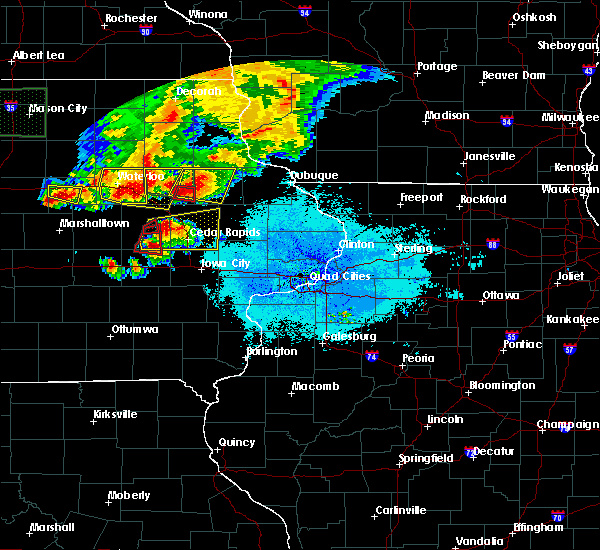 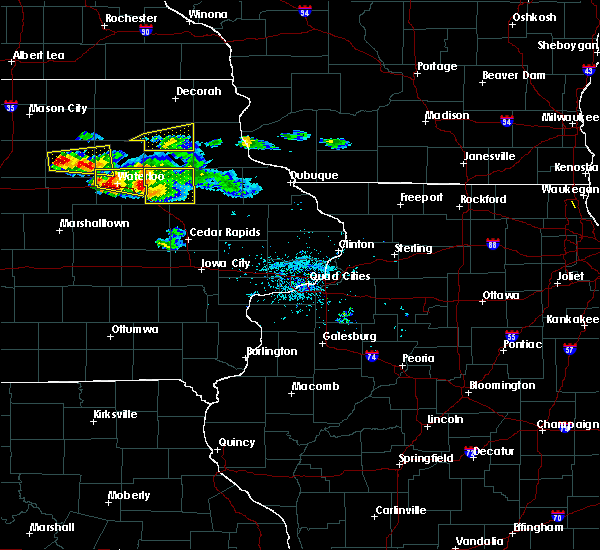 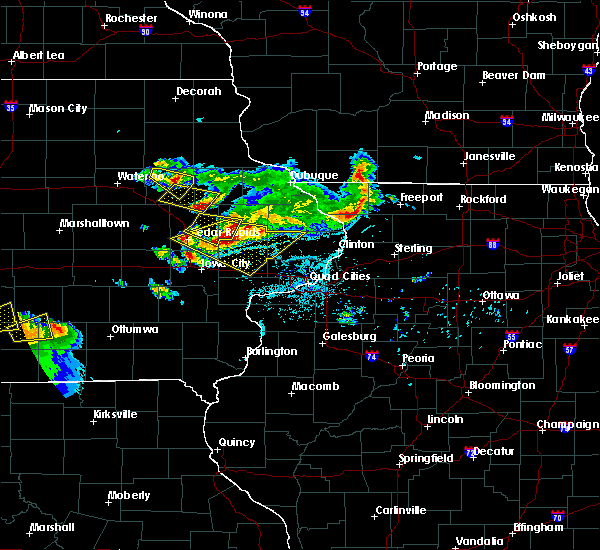 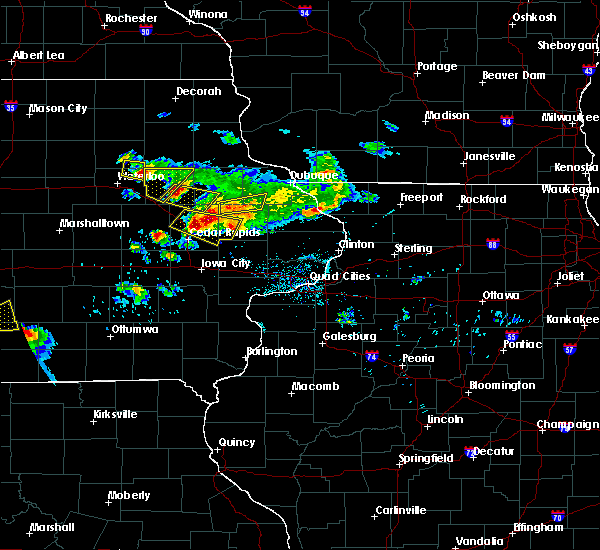 Doppler radar has detected hail at or near Quasqueton, IA on 31 occasions, including 9 occasions during the past year. 6/9/2018 9:23 PM CDT The tornado warning for southeastern buchanan county will expire at 930 pm cdt, the tornado threat has diminished and the tornado warning has been cancelled. 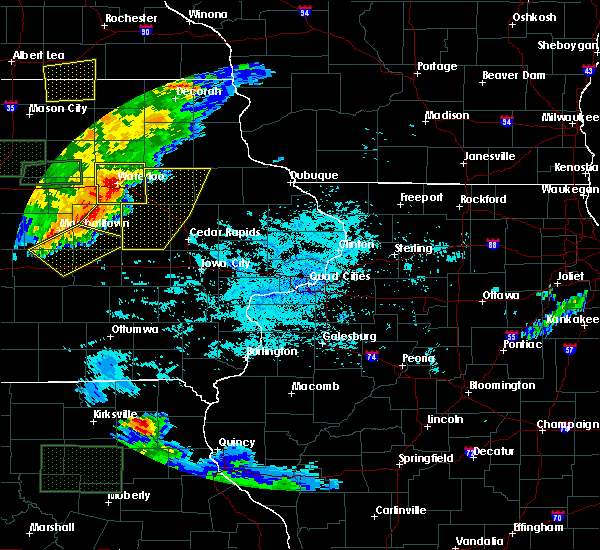 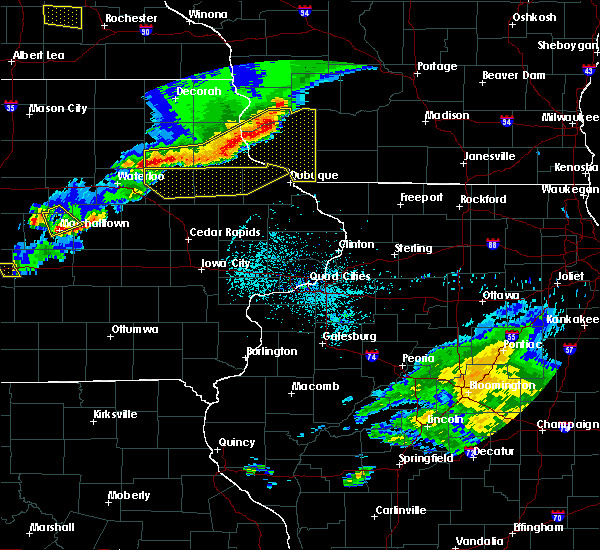 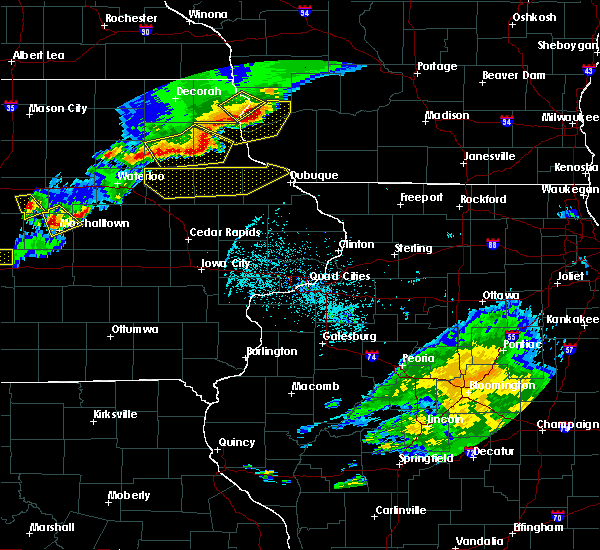 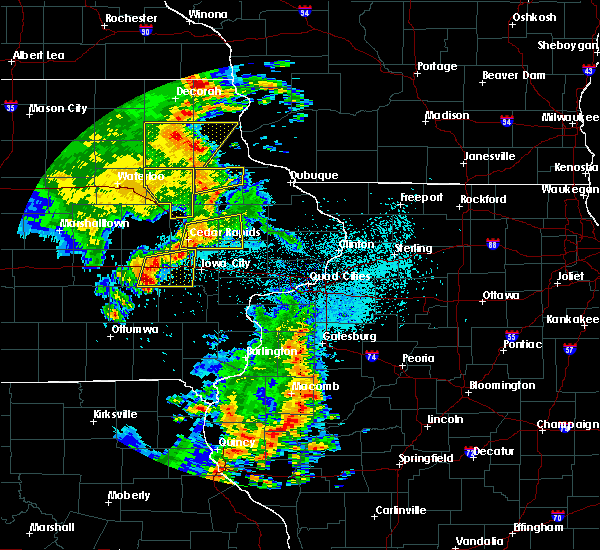 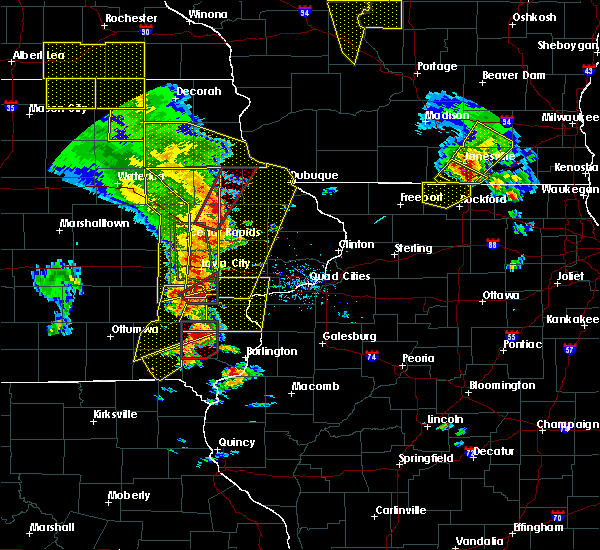 however, large hail and damaging winds remain likely and a severe thunderstorm warning remains in effect for the area. 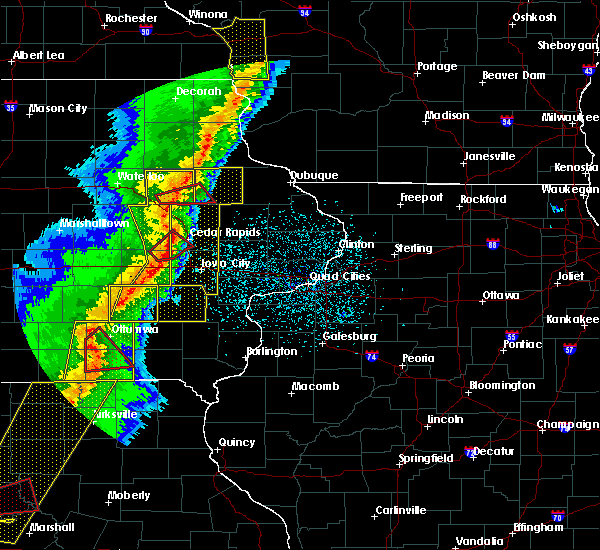 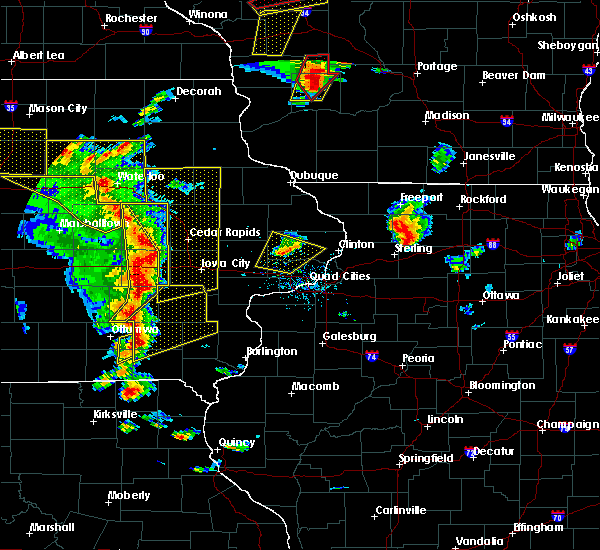 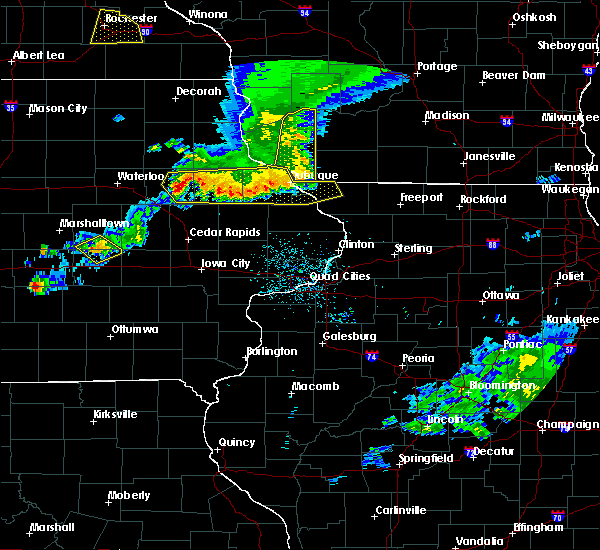 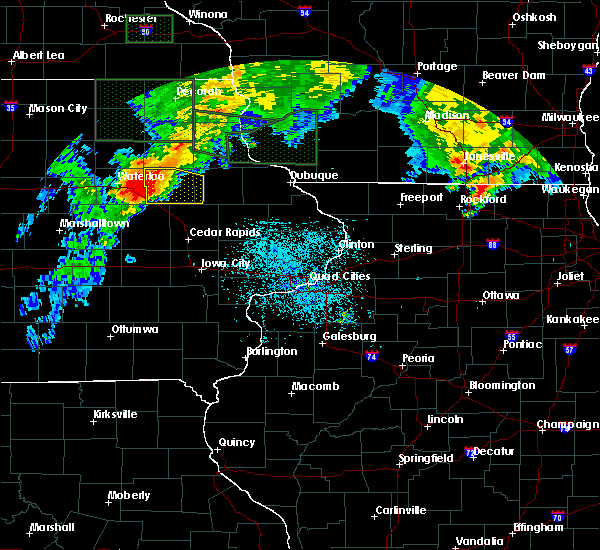 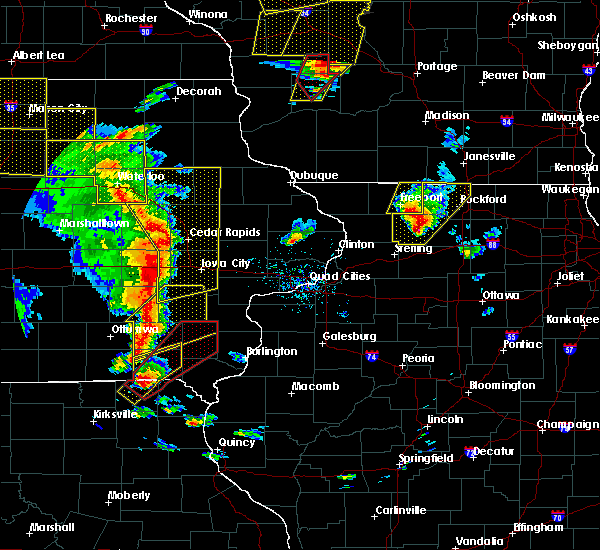 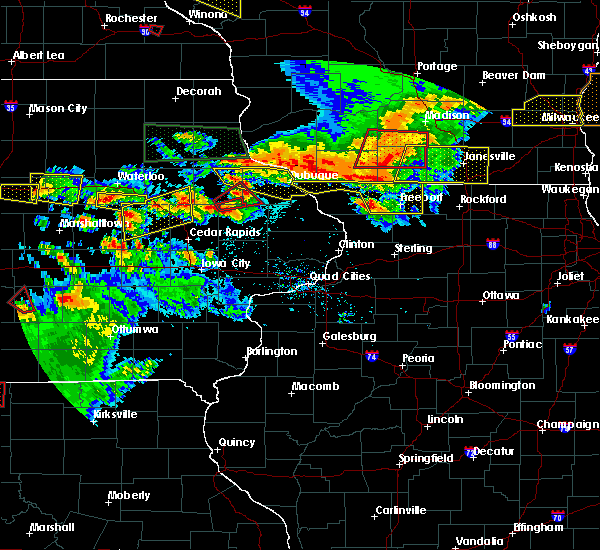 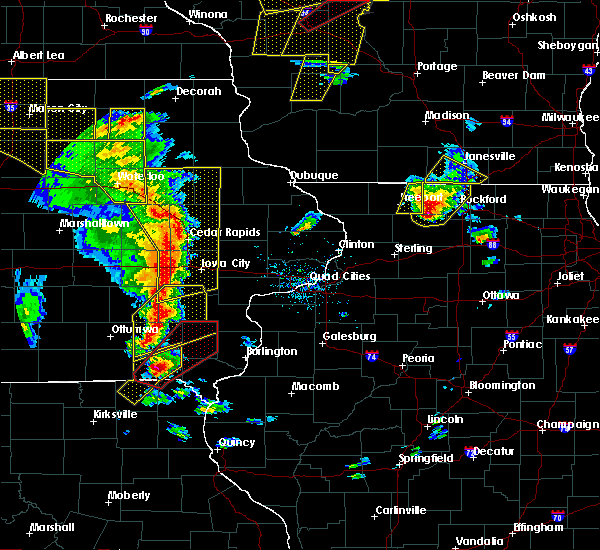 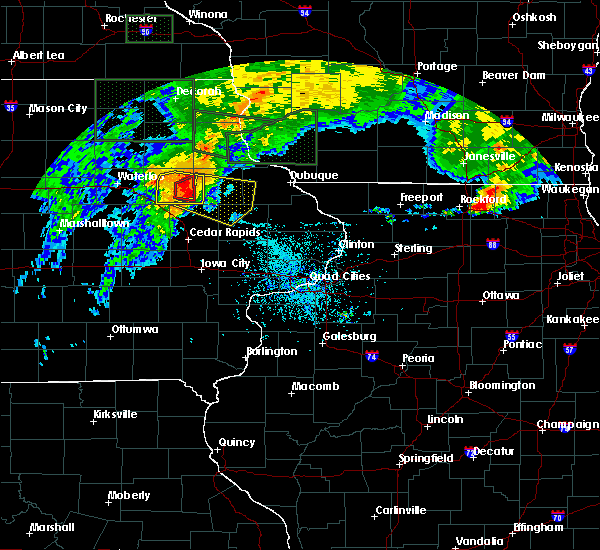 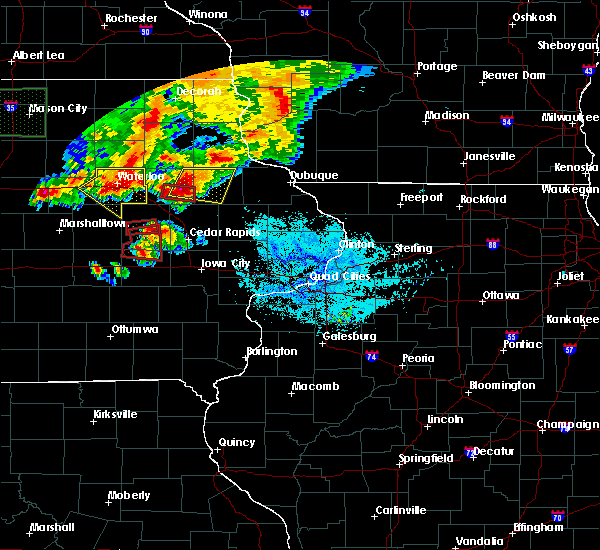 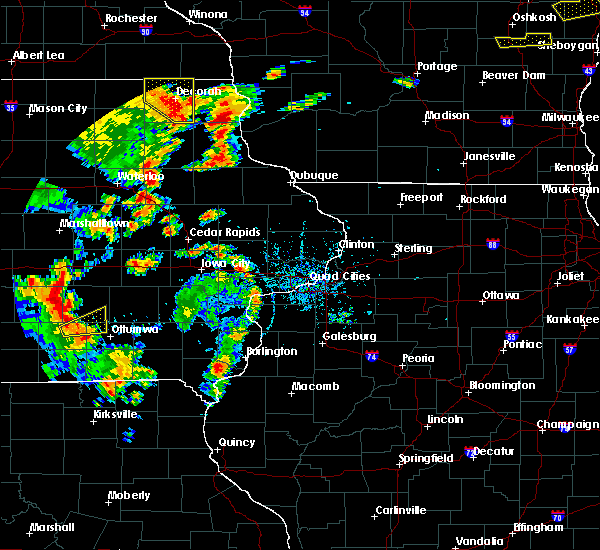 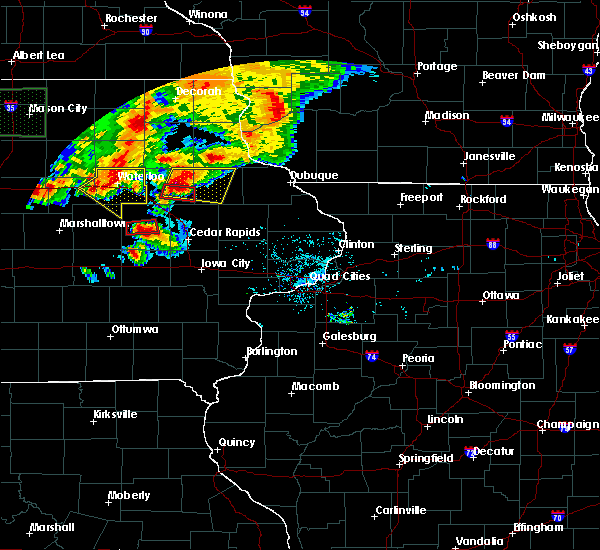 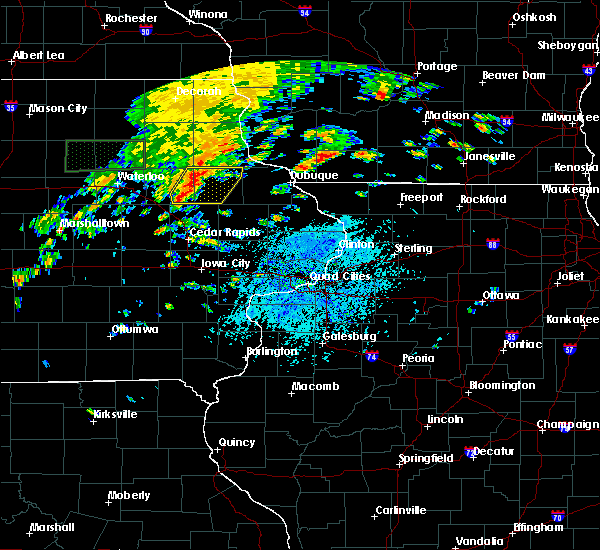 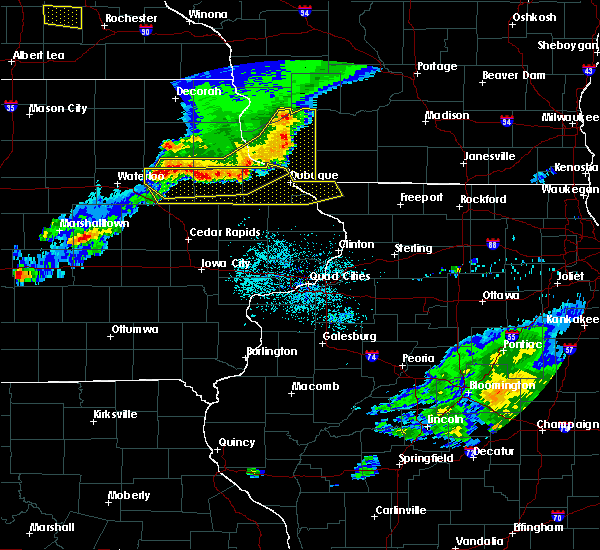 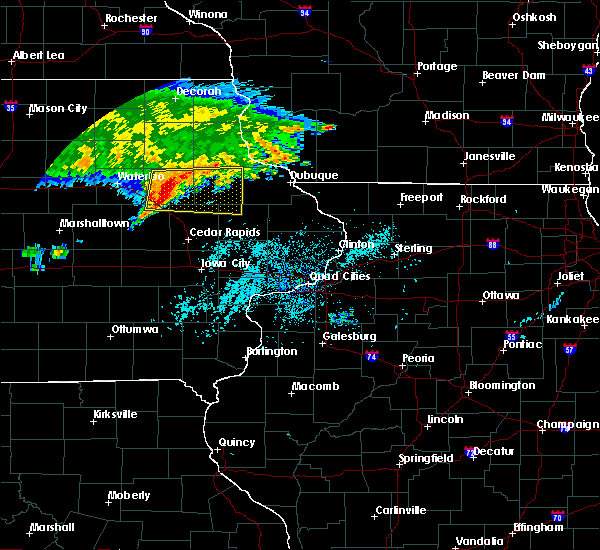 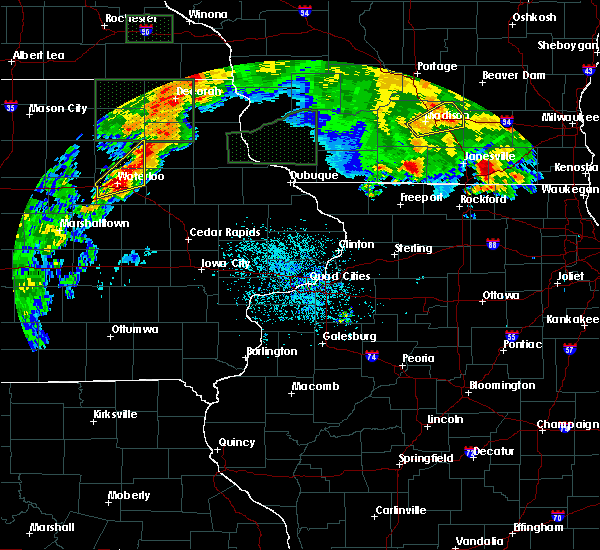 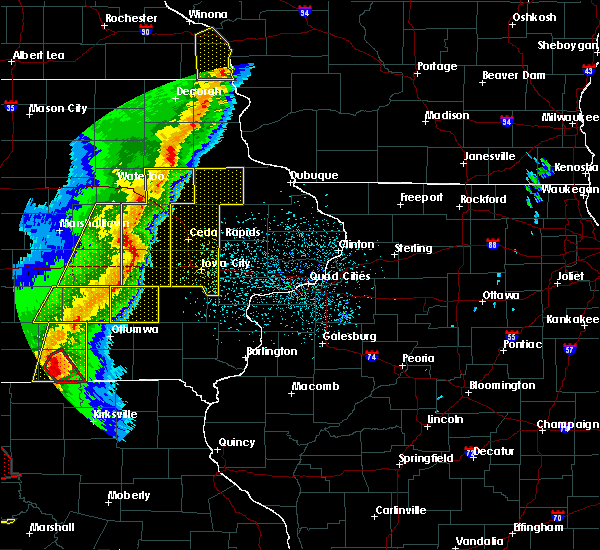 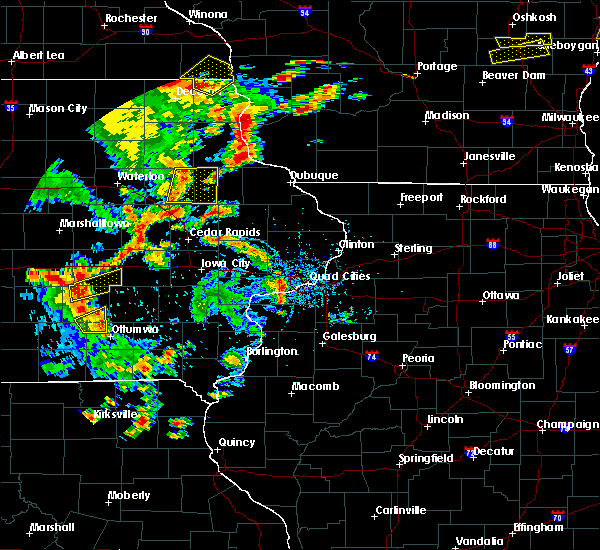 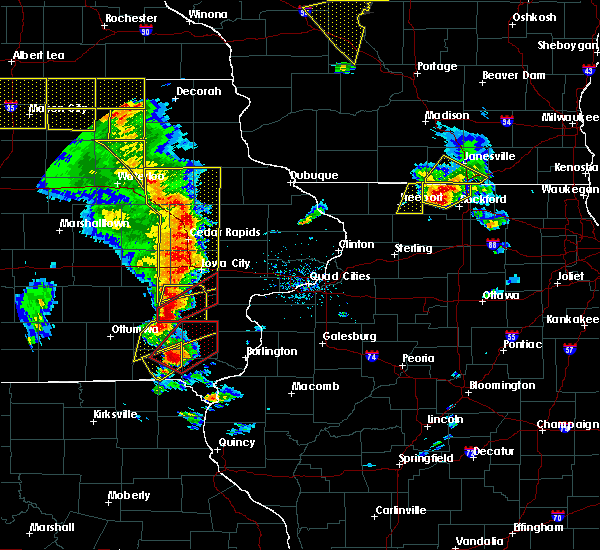 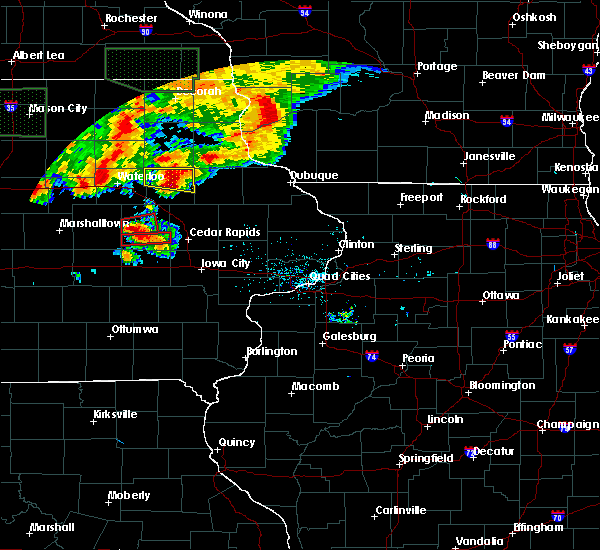 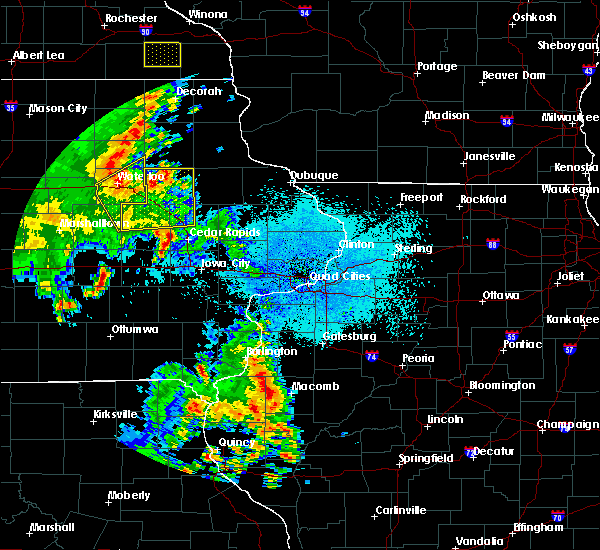 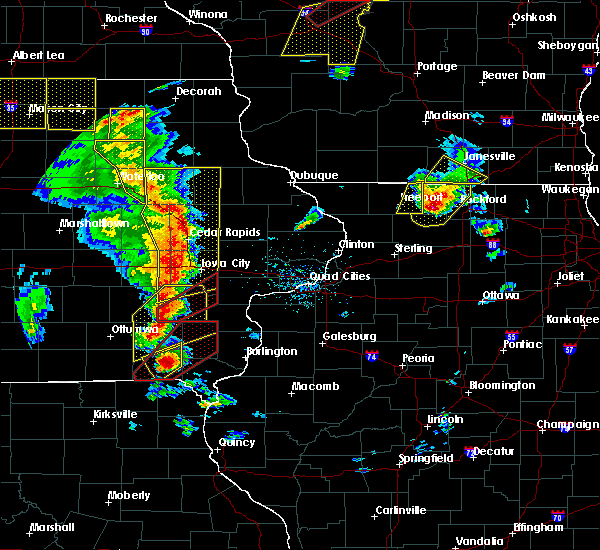 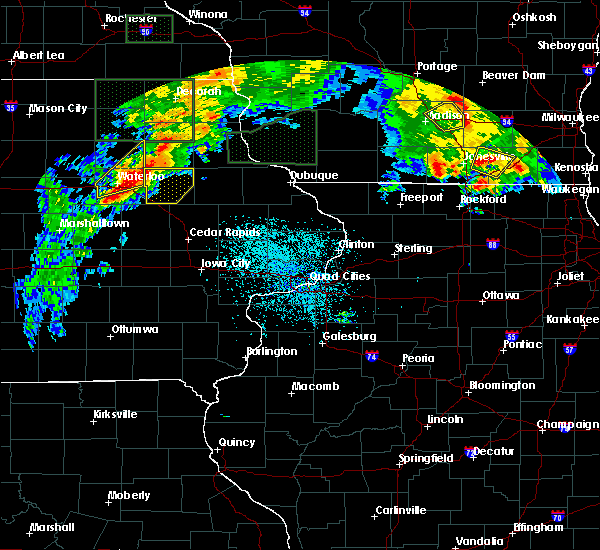 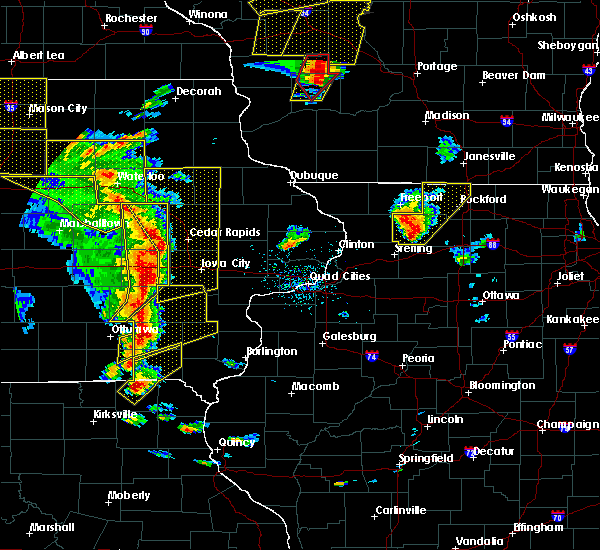 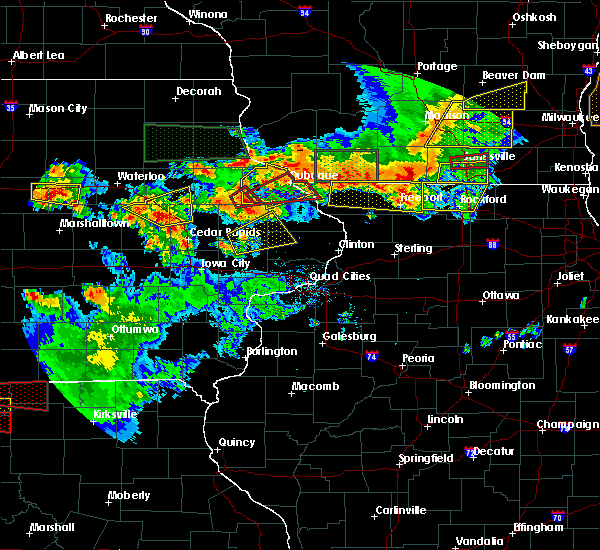 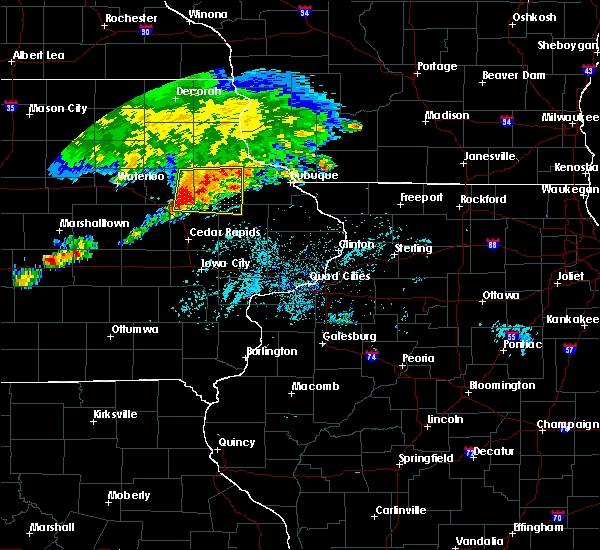 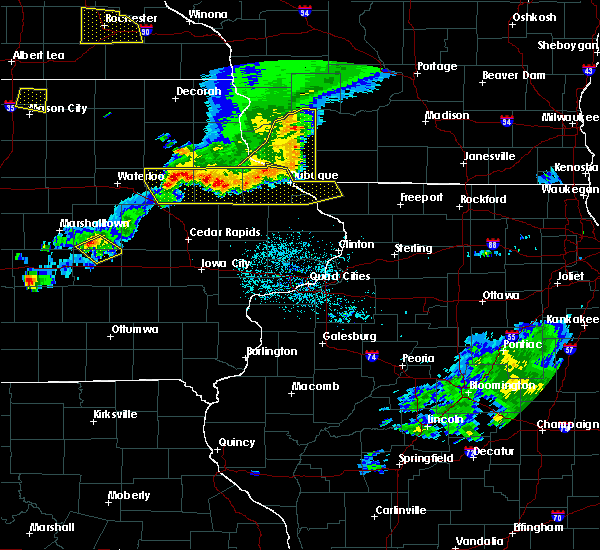 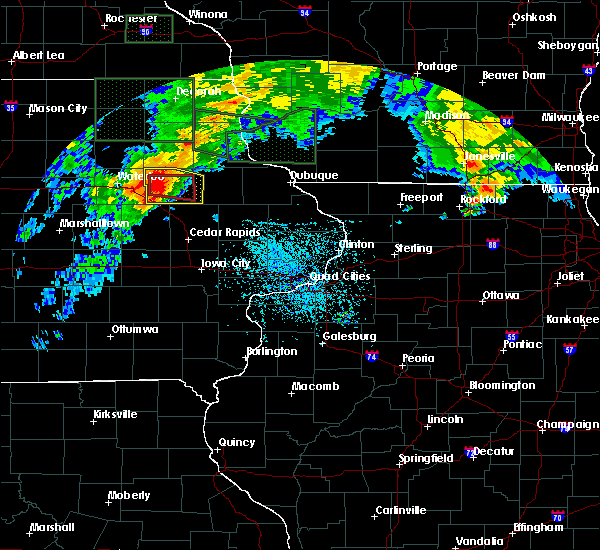 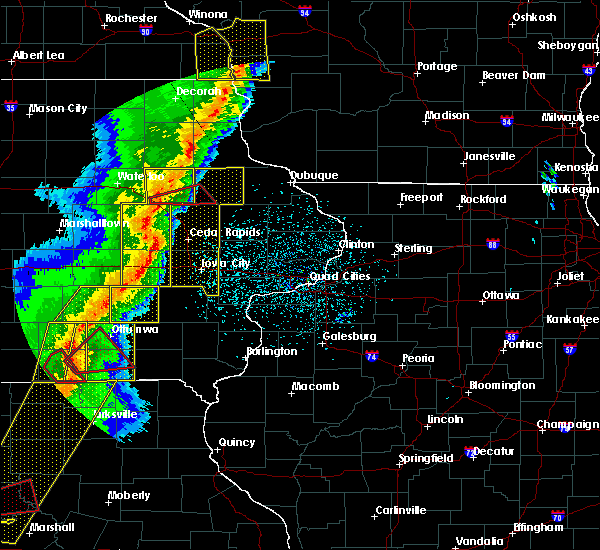 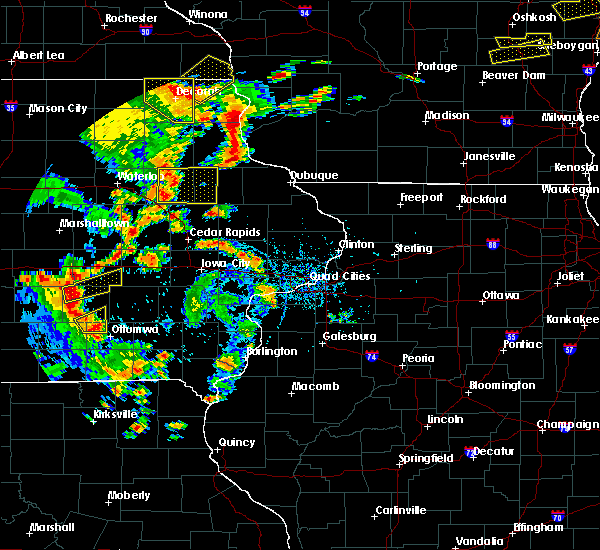 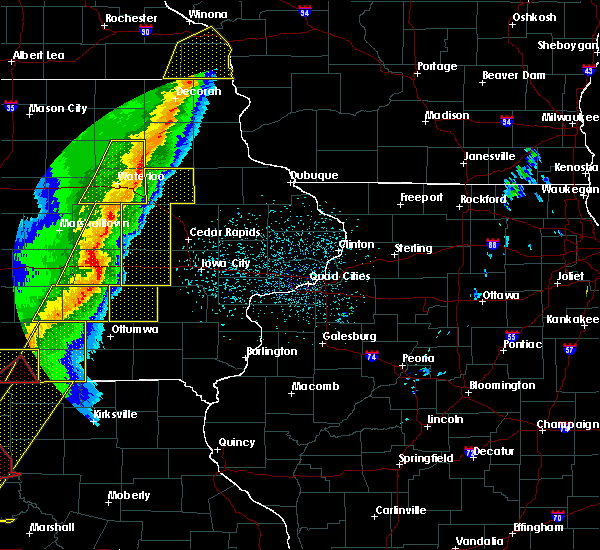 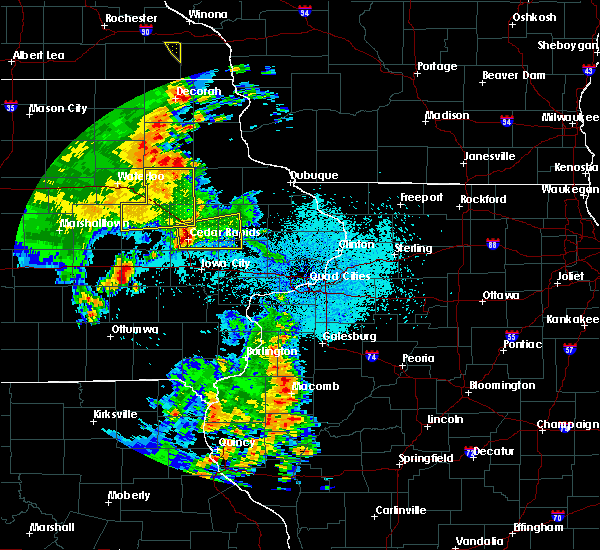 a severe thunderstorm watch remains in effect until 200 am cdt for northeastern iowa. 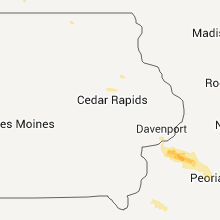 6/9/2018 9:11 PM CDT At 911 pm cdt, a severe thunderstorm capable of producing a tornado was located over quasqueton, or 10 miles southeast of independence, moving east at 15 mph (radar indicated rotation). 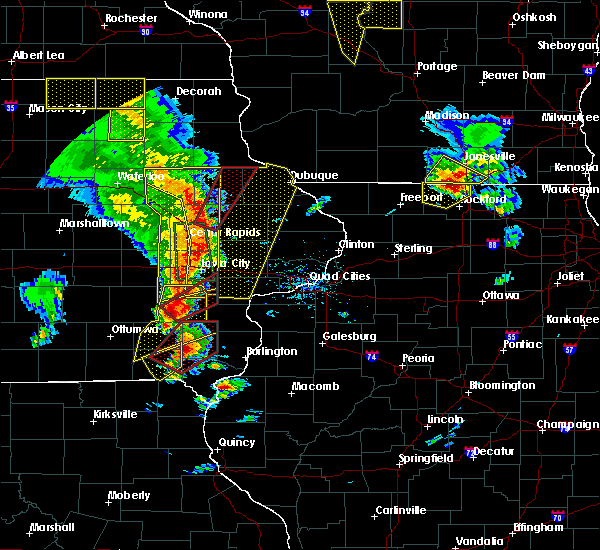 Hazards include tornado and ping pong ball size hail. 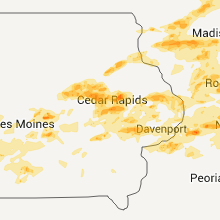 Flying debris will be dangerous to those caught without shelter. mobile homes will be damaged or destroyed. 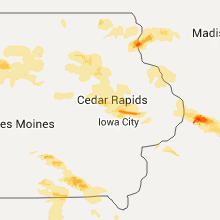 damage to roofs, windows, and vehicles will occur. 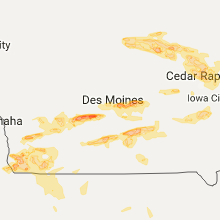 tree damage is likely. 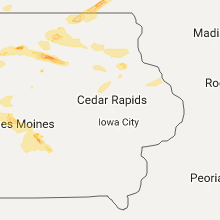 Locations impacted include, quasqueton and monti.